Lots of Important Stuff…READ THIS!!! And just like that, you’re back on campus like you never even left…happy new school year everyone! On behalf of the whole Blue Route staff, I’d like to wish all our contributors and followers a successful start to the new semester! A lot of exciting things are happening on our tiny campus in the new future including a new submission period for our next issue (see details here) and best of all, the 2015 FUSE Conference (check it out here)! The blog staff will be bringing you all the latest updates of conference preparation/journal publication, so do not hesitate at all to contact us with any questions. And please, take literally 3 minutes to like us on Facebook (The Blue Route), follow us on Tumblr (wublueroute), and keep up to date with us on Twitter (wutheblueroute). And while you’re at it, go follow all the undergraduate literary journals you can find on social media! There are so many amazing things being created and discussed by students in these publications…they all deserve to be supported. This entry was posted in Uncategorized and tagged FUSE, FUSE 2015, Social Media, Undergraduate literary journal, Undergraduate Writing, Widener University on August 25, 2015 by erirving. English and Creative Writing students often have so many opportunities to show off their skills in various university clubs and organizations, including school newspapers! Here, Kelsey Styles reflects on a journalism conference she attended in July and gives us a peek at the interesting world of college journalism. I never would have considered breaking news to be something I, a mere student, should be thinking about. However, two weeks ago at the Managing Seminar for College News Editors (MSCNE15) in Athens, Georgia, I realized that I could make an impact. Were something to happen on campus, students could be the first ones there—we could beat NBC and CNN if we’re fast enough! Going into MSCNE, I wasn’t sure how to feel. My brain was stuck on the concept that attending would mean I’d have to do work (in the summer, no less). Even up through the orientation dinner, where event coordinator Cecil Bentley explained that sessions would run from almost 9 am to 9 pm each day and that we’d need to complete projects in our free time on top of that, I was concerned. What had I gotten myself into? But by the end of the next full day, I knew I was in the right place. Despite one or two bores, most seminars were entertaining, informative, and eye-opening. One session, “Journalism of Ideas” by Dan Reimold, was an hour and a half of generating stories worth reading. What I loved about his session was that he didn’t just stick to traditional storytelling. He discussed ideas that could create a buzz, like short interviews with students that could be posted to social media, picture galleries of the weirdest graffiti on campus, and professors reading reviews (like the ever-famous “celebrities read tweets about themselves” video series). Of course, the conference wasn’t just about fun with social media. The advising professors spent a lot of time discussing the proper execution of a breaking news piece and students got to explain some of their proudest investigative pieces. Throughout the week, we were expected to write a feature piece on the city of Athens using several multimedia tools. My group’s site, found here, has a full-length story along with a map, infographic, picture gallery, and video. We were told to play to our weaknesses, so I learned how to make an infographic, and made both on that website! On Thursday, we had a breaking news exercise where we had the chance to, as one speaker put it, “get it first; get it right”. This was especially cool because it was my first experience covering an event in real-time. I had a chance to play photographer while others conducted full interviews and wrote pieces. My phone was constantly buzzing as members on the scene relayed information back to the office, while the students there fed us questions to ask. In another room, MSCNE15 advisors continued refreshing our sites to see who had the most up-to-date information and who was first to complete their articles. At the end, a mock press conference was held, and then a press release was finally sent out. After the exercise, we were all called in for “the beat down,” as one staff member called it. The professors ripped our sites to shreds, telling us how many things we’d messed up or gotten wrong. Though the actual breaking news exercise was exhilarating, the end was sobering; as the professors explained, we only get one chance in the real world. At the CNN World Headquarters in Atlanta, Georgia! 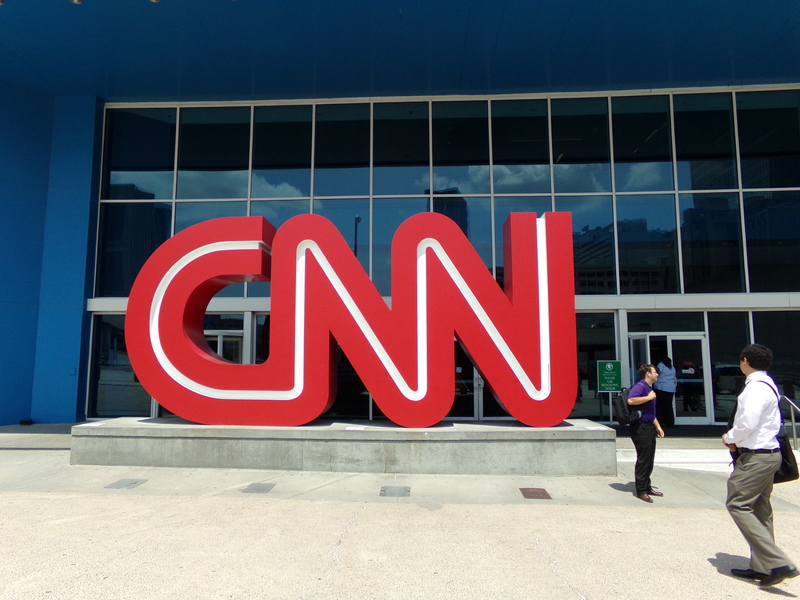 Though the breaking news exercise was perhaps the most informative of the entire week (the hands-on aspect of the experience was so valuable), I also feel so lucky to have had the opportunity to visit the CNN World Headquarters. The conference we had with Paul Crum, the CNN Vice President of U.S. news operations, as well as various other official CNN reporters, was truly gratifying. The conference was one of those experiences that almost didn’t seem real—am I actually in a room with the best of the best in this business? – until the head of internships came out and began answering questions about how to apply. I know I have a lot to improve upon, and I may never be accepted to work for CNN, but the opportunity to be in that room and have the head of CNN’s internship program offer insider information about how to get involved there made me feel like I was worthy—like I could actually do this for a living one day. I absolutely loved attending MSCNE15, more than I can explain here. Not only was it informative and exciting (which are two things every good conference should be), but it was almost a relief. My absolute delight with everything – even the boring two-hour seminars I sometimes had to struggle through – was an affirming sign that I’m in the right place and doing exactly what I love to do in life. This entry was posted in Uncategorized and tagged College, Conference, Editors, Journalism, news, Social Media, Storytelling, Summer, Travel on August 10, 2015 by erirving.